Our flagship training program for 30+ years, the NACE coating inspection courses set the standard for inspections in the protective coatings industry. Companies worldwide recognize and specify the NACE Coating Inspector Program the most because its comprehensive curriculum produces knowledgeable inspectors who have learned a skillset for fieldwork and a solid coatings foundation that strengthens the industry overall. 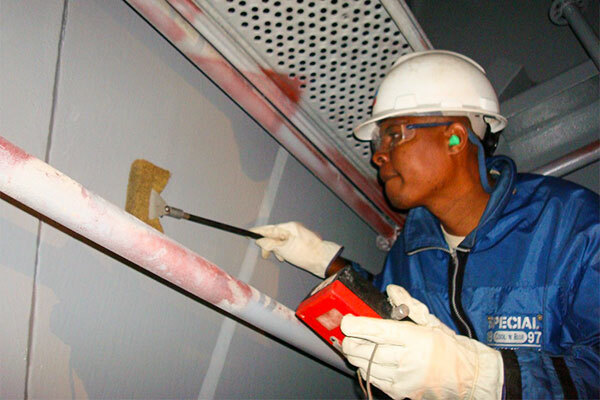 Combining classroom study, discussion, and hands-on practice, the courses introduce specifiers, applicators, inspectors, blasters, manufacturers, owner’s representatives, and technical salesmen to the basics of corrosion control, paint application and inspection, and project management in a way that results in billions of dollars in cost savings. CIP Level 1 covers the technical and practical fundamentals of coating inspection work. CIP Level 2 focuses on advanced inspection techniques and specialized application methods for both steel and non-steel substrates, including concrete using both nondestructive and destructive techniques. The Coating Inspector Level 3 oral exam is designed to assess whether a candidate has the requisite knowledge and skills that a minimally qualified Level 3 Coating Inspector must possess. This course provides specialized training related to coating inspection of bridges. ICI is an online, self-paced course that consists of 8, 30-minute modules introducing the fundamentals of coatings, as well as the purpose and role of a coating inspector on a coatings project. This course is designed specif ically to train coating inspectors to conduct inspections in nuclear power plants (NPPs), and is also used as a primer to familiarize non CIP-certified personnel with NPP coating requirements.